Brisbane verandah - a good looking, practical Aussie tradition! While having a Brisbane verandah attached to your house is about as Aussie-centric as kangaroos and meat pies, there’s also no denying the practicality and aesthetics that a verandah can provide virtually any home. To make the most of your investment, it’s important to design and build a Brisbane verandah with care. Consider, for example, the style of your existing home. 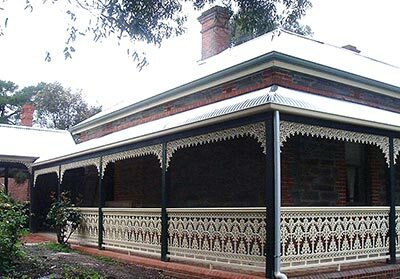 While there are many styles of verandahs that can be built, there may be only one that perfectly matches your house, flat or unit and this will generally be the best choice. This is partly achieved by the design and partly by the choice and colour of materials. Also consider the size of your Brisbane verandah. If it’s protection from the sun that’s a priority – which is mostly is in Queensland – a verandah on the west side of your house may need to be wider than one on the north side. For protection from rain (which we also get plenty of!) consider the prevailing winds and the direction where most of your weather comes from. Wet shoes, barbecue and outside furniture after a brief shower are hardly going to encourage you to entertain or relax outside! An Aussie tradition? Yes. Good looking? You bet. Practical? For sure. So enjoy the benefits of a new Brisbane verandah and add value to your home today. Phone Outside Concepts to organise a free design and quote on your new Brisbane verandah.